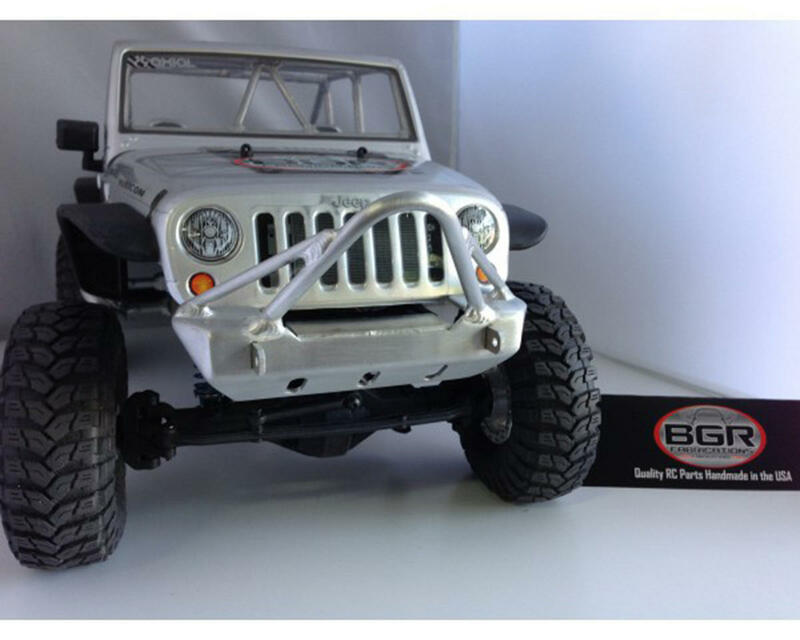 This is the BGR Fabrications Front Stinger Bumper with Tube Gussets for the Axial SCX10 Jeep Rubicon. This bumper is handmade in the U.S.A. from 6061-T6 aluminum alloy and TIG welded for superior fit, finish and strength. This bumper features the standard single hoop stinger design with the addition of tube gussets on each side for added strength and style. 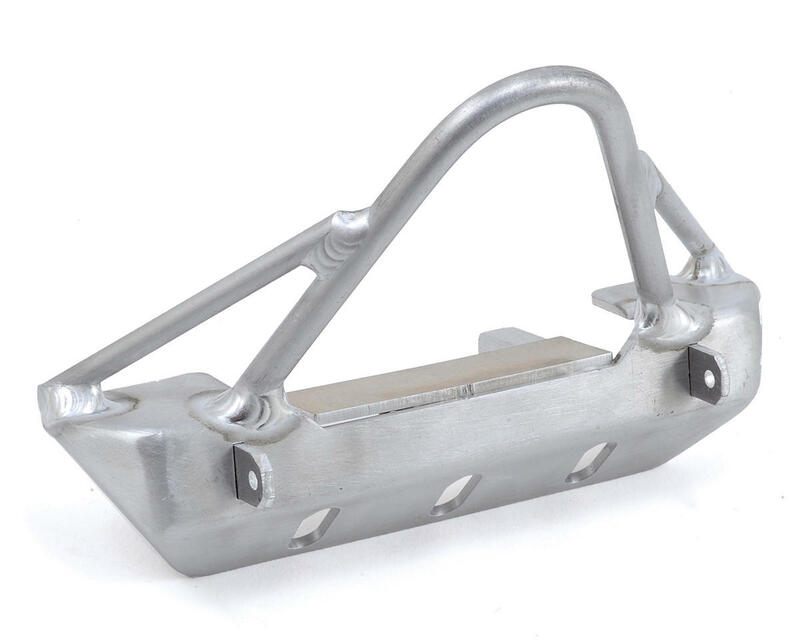 The bumper also features a welded on winch plate to accommodate the RC4WD Warn Winch or any standard 1/10 winch, but mounting holes must be drilled by user. 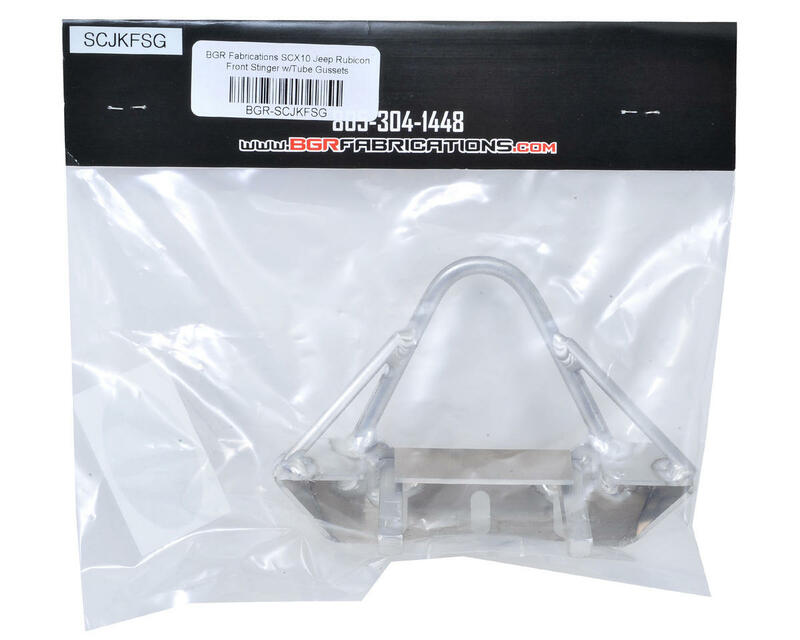 This Stinger bumper is also available without tube gussets; part# BGR-SCJKFS. Note: The stock Axial front bumper mount must be removed to mount this bumper. Additionally, the mounting rails on this bumper, and the winch plate, must have their holes drilled for installation. This allows the user to mount the bumper at the desired distance from the truck.